Philips Hue is your personal wireless lighting system that lets you easily control your light and create the right ambience for every moment. Enhance your everyday life with Philips Hue White Ambiance Cher semi-flush mount fixture. It can wake you up and help you energize, read, concentrate and relax. With 50 thousand shades of white, from warm to cool white, customize all of your daily routines into moments you can enjoy. Requires a Hue bridge for full functionality. 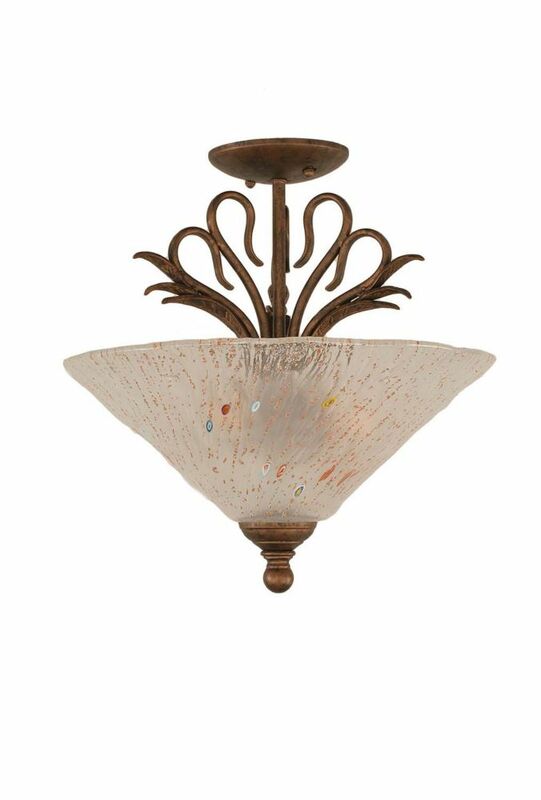 Concord 3 Light Ceiling Bronze Incandescent Semi Flush with a Frosted Crystal Glass The cornerstone of the Concord Collection is quality, and this incandescent semi flush is no exception. Combining a classic bronze finish and posh styling, you will find no better way to highlight the charm of your home. With the superb craftsmanship and affordable price this fixture is sure to tastefully indulge your extravagant side.